I got back from vacation a week and a half ago and now my whole family is down for the summer. We've been staying at my grandma's and eating too much food, but it's all good. It's Mid June which means here in India, it's the end of the summer. College starts this Wednesday for me so please excuse me while I run away and cry bucket-loads of tears because after work, vacation and general family time, there's no way I want to go back. UGH. 1. 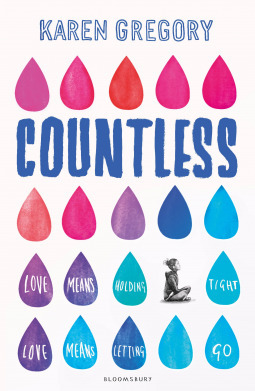 Countless by Karen Gregory: Countless is about a girl who suffers from anorexia. When she finds out she's pregnant, she makes a deal with herself to eat and stay healthy for her baby. It's supposed to be heartfelt, honest and I can't wait to dive in. Not to mention how absolutely spectacular that cover is! 2. 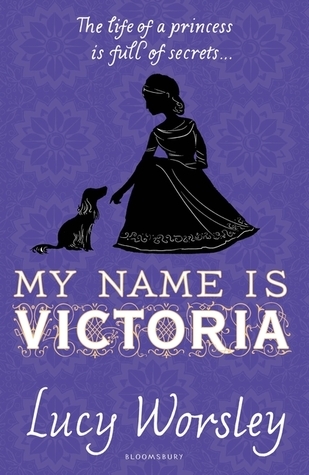 My Name is Victoria by Lucy Worsely: I read BBC Historian Lucy Worsely's Eliza Rose last year and it was a very informative read. I didn't love is as much as I would have hoped, but I am very excited to read the story of young Queen Victoria. 3. 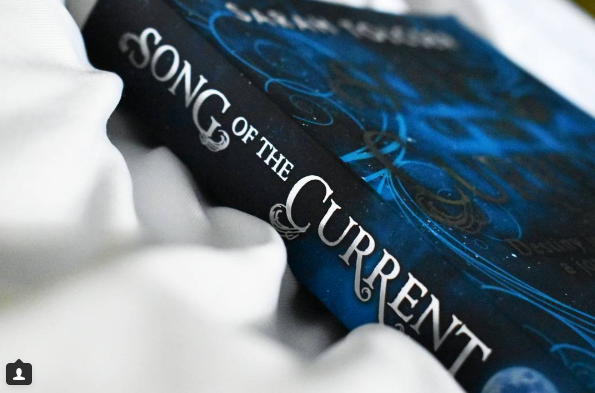 Song of the Current by Sarah Tolscer: I've heard nothing but wonderful things about this book and I'm very excited to dive in. It's filled with magic and a strong female character and I honestly couldn't ask for a more gorgeous cover. I'm SO excited to start this one! 4. 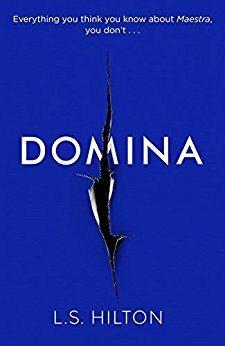 Domina by L.S.Hilton: When Bloomsbury asked me if I wanted to review this book, I couldn't resist despite not having read the prequel. Both books in the series are stand-alones (in case you wanted to try one) and also, the author is ACTUALLY coming to India. I haven't read a thriller in a while and I'm looking forward to the day I dive into this one. 1. 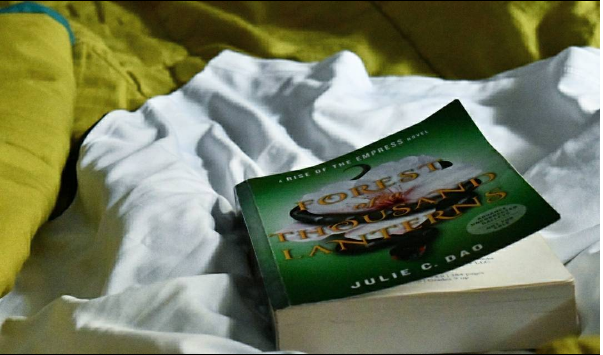 Forest of A Thousand Lanterns by Julie C Dao: I just finished this absolutely GENIUS book yesterday and I am SO IN LOVE with Julie Dao's ability to write. I didn't know it was a Snow White retelling until the very end, but holy wow did I love all the dark and twisty things about this book. 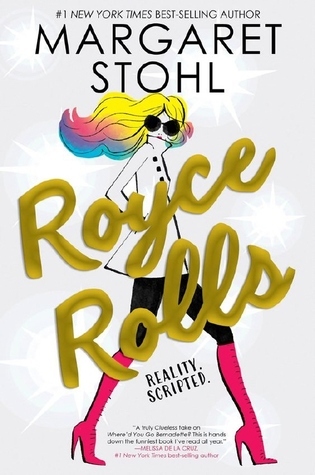 Add it to your TBR's and Wishlists because you NEED THIS BOOK IN YOUR LIVES. 2. 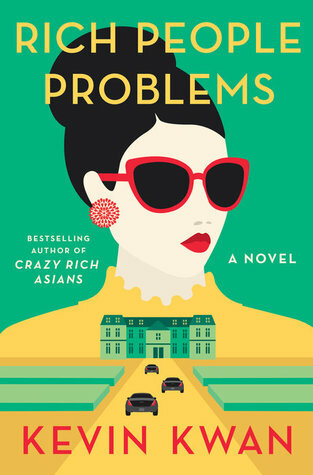 Rich People Problems by Kevin Kwan: After seeing everyone on Twitter talking about what a hilarious must read this book is, I had to request it and the lovely International team at PRH send me a perfect finished copy! I can't wait to dive in, especially since I was JUST vacationing where the book was set! 1. Strange The Dreamer by Laini Taylor: Can I please talk about how OVER THE MOON I am that I won this on Instagram from the lovely people at Hachette. "The Dream chooses the Dreamer," which is the tag line has me HOOKED and I can't wait to read this book. It's pretty much calling to me to pick it up right now. 1. 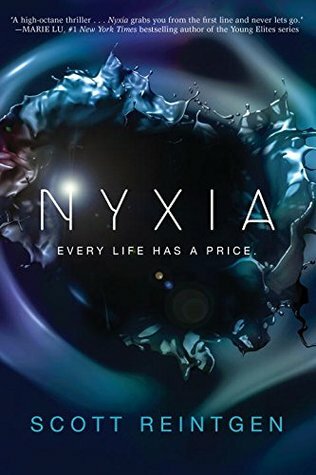 Nyxia by Scott Reintgen: I requested this GORGEOUS book on NetGalley without really knowing what it's about but this space dystopian book sounds something like The Illuminae Files and I'm very excited for it! 1. 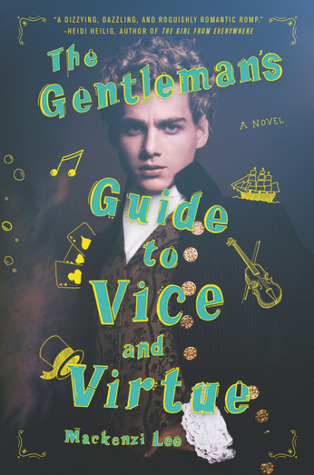 The Gentleman's Guide to Vice and Virtue by Mackenzi Lee: I got a copy of this book as a part of the Sunday Street Team Blog Tour I'm organizing for it, and my stop is next Sunday. I'm so excited to dive into this book which is a road trip set in the 1800's with two boy best friends who have feelings for each other and I don't think anything has sounded better - EVER. 1. When Dimple Met Rishi by Sandhya Menon: I won this newly minted NEW YORK TIMES Bestseller on twitter from the lovely Angie Manfredi and I'M SO HAPPY TO HAVE IT IN MY HANDS. It's truly the cutest thing and I hope everybody dives into the perfect Indian romance. 1. 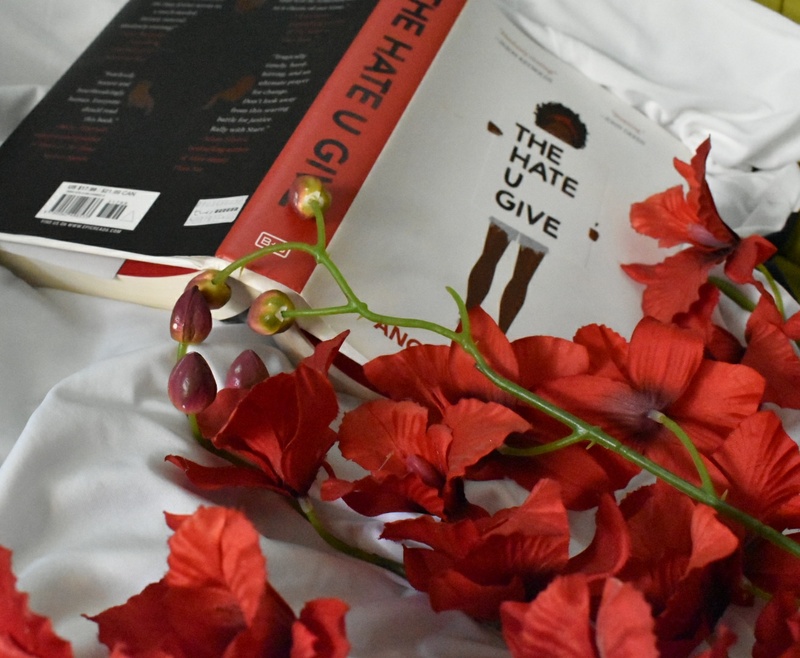 The Hate U Give by Angie Thomas: I got this book as a steal deal in the Singapore International Airport and I dove in during my vacation. It was an absolutely gorgeous piece of literature that deserves all the hype it's gotten and more. This book is for EVERYBODY and if you haven't read it yet, you should! 2. 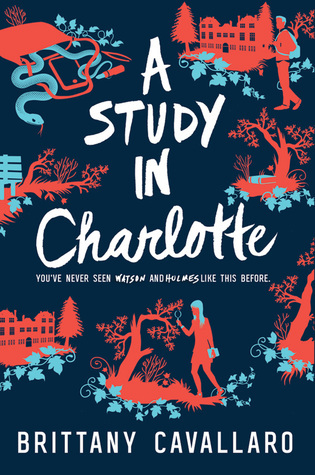 A Study in Charlotte by Brittany Caravallo: I read this book last year and I was so enamored with the idea of Watson's and Holmes' descendants solving mysteries together and so when I saw a paperback of this book around, I HAD to have it! I can't wait to take Bookstagram pictures of it! 3. 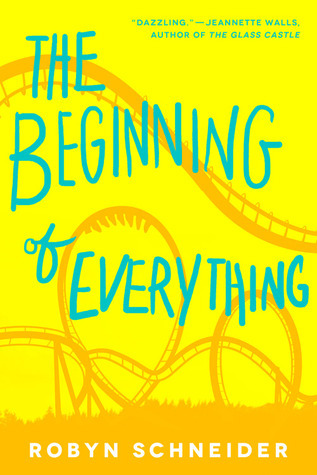 The Beginning of Everything by Robyn Schnieder: I've had this book on my TBR for a very long time and seeing it at 40% off on my vacation when I don't REALLY have a book budget made me throw it into my cart without thinking. I don't know when I'll get to it with the mountains of other books I have, but hopefully it won't be too long. 4. The Serpent King by Jeff Zentner: I bawled my eyes out and questioned the meaning of life earlier this year when I read Jeff Zentner's debut novel. When I saw that it was as it;s lowest price on Amazon, I immediately hit the buy button and now I'm the proud owner of this GORGEOUS book. What did you stack onto your shelves this week? 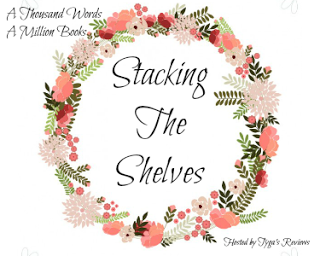 I can't wait to check out your stacks this week, so please do leave me your links!